What Is PoE Switch? Why Use It? How to Use It? The large amount of devices used by industrial applications such as transportation, public facility and manufacturing automation will give rise to the cables in a condition of disorder. With industrial devices becoming more power-hungry, the PoE technology wins a good reputation among users with the capability to provide higher power and reduce the number of cables required. In this article we will discuss what is PoE switch, why use PoE switch and how to use PoE switch. PoE switch or power over ethernet switch is a network switch which applies Power over Ethernet technology. When connected with multiple network devices, PoE switch can support power and data transmission over one Ethernet cable at the same time which dramatically simplify the cabling process and cut network cost. PoE network switch can be classified into many types, such as 8/12/24/48 port PoE switch, or unmanaged and managed PoE switch. Flexibility: PoE switch supplies power via an Ethernet cable and eliminates the demand for additional electrical wiring. Therefore, equipment can be installed based on where it needs to go. The combination of PoE and wireless technology allows for a practically cable-free environment. Reliability: PoE power comes from a central and generally compatible source rather than a collection of distributed wall adapters. It can be back-up by an uninterruptible power supply. Cost-efficient: With PoE network switch, there is no need for users to purchase and install additional electrical wires and outlets, which create significant savings on installation and maintenance costs. How to Use PoE Switch? After knowing PoE switch working principle, do you know what is PoE switch used for? PoE switch is mainly used with IP cameras, VoIP phones and wireless access points (WAP). A PoE switch offers power supply and data connection to PoE-enabled IP camera system via network cables like Cat5, Cat5e and Cat6. Nowadays, whatever the industry or location, it is common and even necessary to use PoE managed switch for IP security camera to ensure the safety of people and business. VoIP phone is the most common and original PoE application with a single connection to a wall socket. It can be remotely powered down. With gigabit PoE switch, only data network cable is required. PoE switch has promoted business communication and reduced deployment costs of VoIP. Wireless network is greatly enhanced by the usage of PoE. PoE technology revolutionizes the wireless network by providing data and electricity over the same Ethernet cable. When you use PoE ethernet switch, installation of controllers and access points is greatly simplified. It is considered to be the most widespread way to build enterprise wireless network. PoE technology is less time-consuming and more economical for cable installation by carrying electrical power over network cable. From this post, you may have a better understanding of what is PoE switch and what is PoE switch used for. Currently, PoE switch has become a better choice for connecting IP camera, VoIP phones and wireless APs. 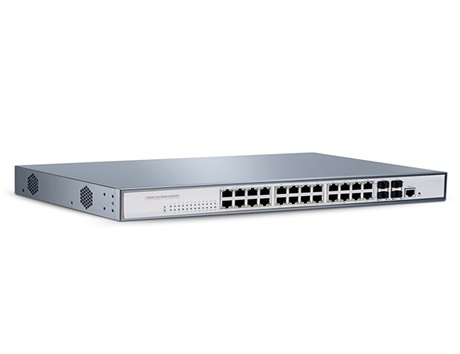 To get cheap PoE switch 8 port, 24 port or 48 port, FS is a good place to go as the PoE switch price is much more competitive than other vendors in the market. In addition, gigabit switches like 24 port switch, 48 port switch, etc. are also available for your various network demands. Ethernet Network network switch, PoE switch, what is poe switch. permalink.